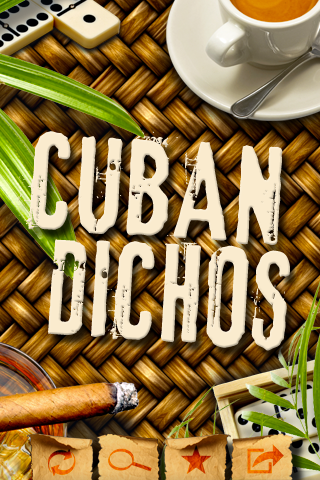 Cuban dicharachos (dichos for short) are colloquial expressions used to describe common day to day occurrences. These spicy dicharachos are colorful examples of how Cubans approach life with humor and inventiveness. 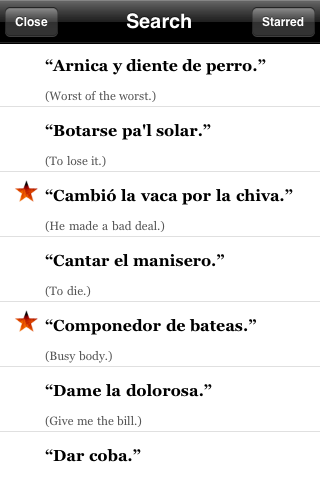 Ever wanted to know what your grandparents were talking about when they mentioned "estas salao" over dominoes? Ever wonder what the newer generation of Cubans were singing in that reggaeton song? 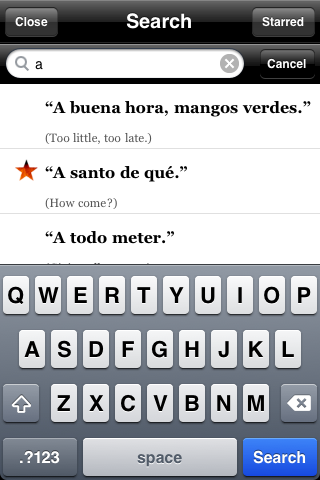 Wonder no more with Cuban Dichos! 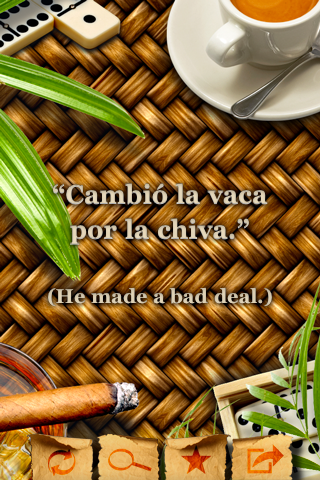 With hundreds of "dicharachos" and features such as Word of the Day, Search, Random, Share and Bookmark – figuring out what abuela meant is "un jamon". Buy on the App Store! Buy on the App Store!